Savita Behenji is explaining “dohe” couplets by the poet saint Kabir. “What soup is Kabirdaas talking about?” She asks the silent class. Questions like this weren’t appreciated during the pre-lunch Hindi lesson. A precocious young me, used to (read – forced to) helping Aai winnow wheat and jowar before despatching the grain to the local flour mill, smiled smugly as no one in the class answered. Not only could I winnow the chaff from grain quite expertly, but also sift large stones and clumps of dirt with the large bamboo sieve. I could also proudly pan stones from soaking grains using the two-basin method with the panache of a prospector. What more, I could clean mustard seeds and poppy seeds by placing them in a metal plate and tilting it at an angle of about 30 degrees and pushing the playful pips up. The chaff stayed on the top while the clean kernels rolled to the bottom. Picking to clean was way down on this scale of skills. Starting very young with rice and wheat, I was progressively given higher responsibilities such as examining roasted brinjals for Trojan gurbs, as Aai’s spectacles grew thicker by the year. I was to realise the utilitarian value of such skills along with their therapeutic value only much later in life. At the time however, it was at once a “behenji” type activity that I was ashamed of, and a skill and knowledge that I could confidently boast of in front of my stylish peers in the “convent” school. For the life of me, I can’t understand, nor pardon, those who use the word “convent” to denote any/all boys/girls/coed English medium schools. I am as humble as Savita Behenji is funny. I proffer, putting an end to the little pogrom she had in mind. I know she wanted to string us out for a while longer before leading the class to the inference. 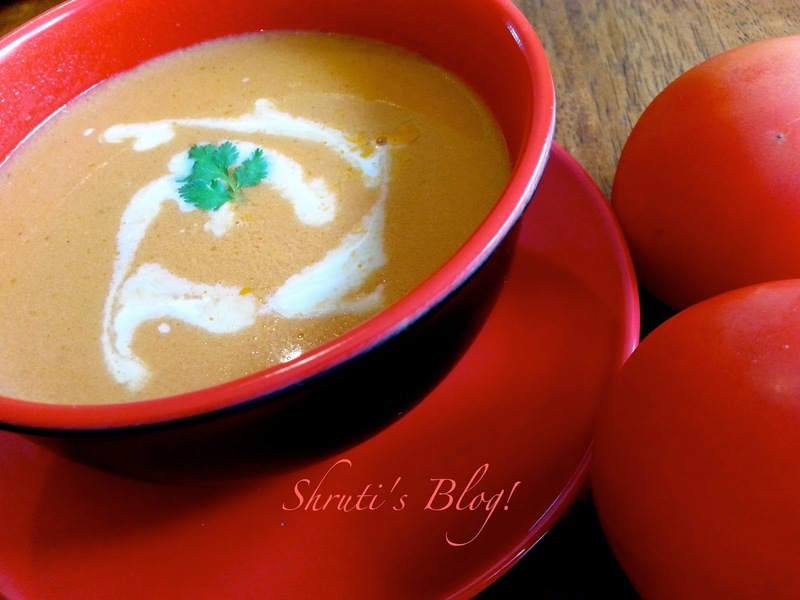 Tomato Saar, tomato soup… I knew what was coming. Behenji’s “teacher” jokes would have killed us, if extreme hunger hadn’t already done so. Thwarted, Behenji goes on to describe how Kabir likens a wise man to a winnow that keeps the grain of good sense, while blowing the chaff of “non-sense” away. The bell rings for lunch just then, and my classmates’ looks of envy are replaced with gratitude. Good sense has prevailed. It’s time to turn to the saar. Heat a saucepan and a tsp of oil. Lightly sauté the chopped shallot, garlic and green chilli. 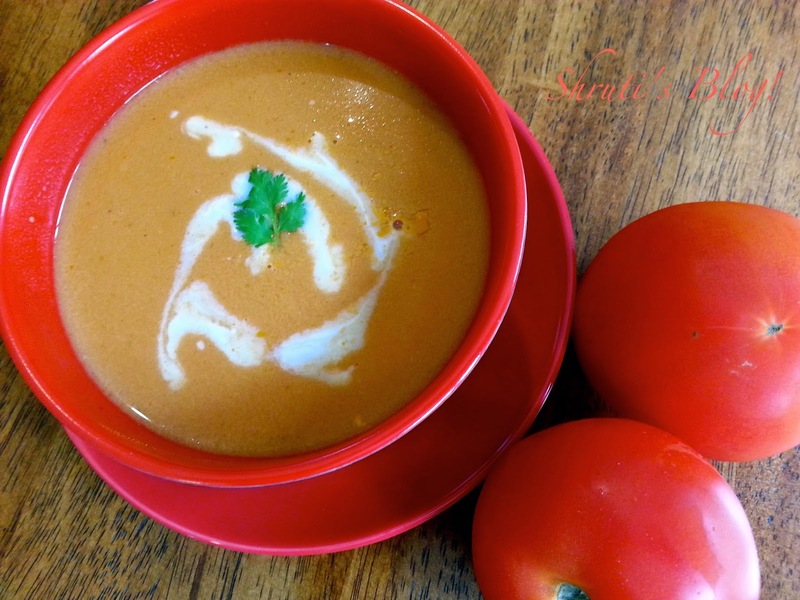 Blend with the tomato, cumin and pepper into a smooth puree using a stick blender (or mixer). Add water to the blended puree to adjust the consistency and bring it to a boil and then lower the heat and let the soup simmer for a while until a bright orange foam forms on the surface. Add the salt, sugar and then introduce the coconut milk. Do not boil much after this stage. Check and adjust the flavours. Garnish with the chopped coriander and serve hot with khichadi, masaley bhaat, vaangi bhaat or even plain rice. Or slurp it up in a cup. The epitome of everything essential to warm the cockles of your heart, this soup is for keeps. I am sure Kabir had this soup in mind when penning the doha.